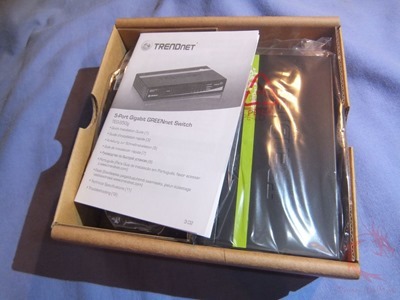 The TEG-S50G is small so it comes in a small box that has plenty of information on it about the switch inside. Inside you’ll find everything packed nicely for shipping. 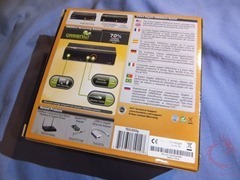 Once you get it all unpacked you’ll find the power adapter, user guide, switch and four rubber feet. 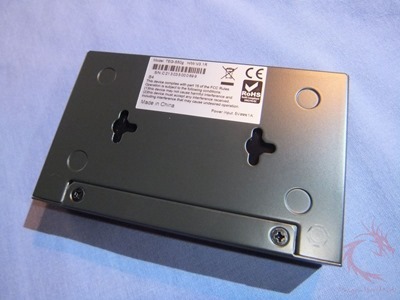 The first thing you’ll notice about this switch is the weight of it, it’s a metal enclosure and it feels sturdy and well made. According to the specs it weighs in at 7.8oz but it ‘feels’ heavier than that. 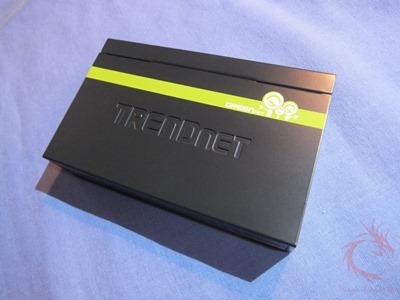 On the top is the TRENDnet logo and their GREENnet logo. On the front is the indicators, they’re all LEDs of course and we’ll get into more of what they mean later. On the bottom you’ll find the ID tab, holes for mounting it on a wall if you wish and the spaces for the rubber feet. 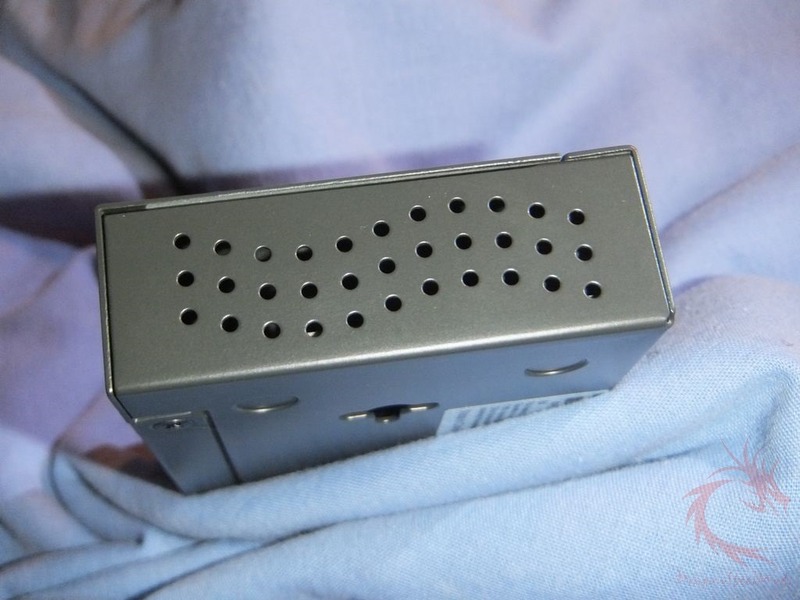 The right and left sides are identical, here you’ll find ventilation holes to keep the switch running cool. 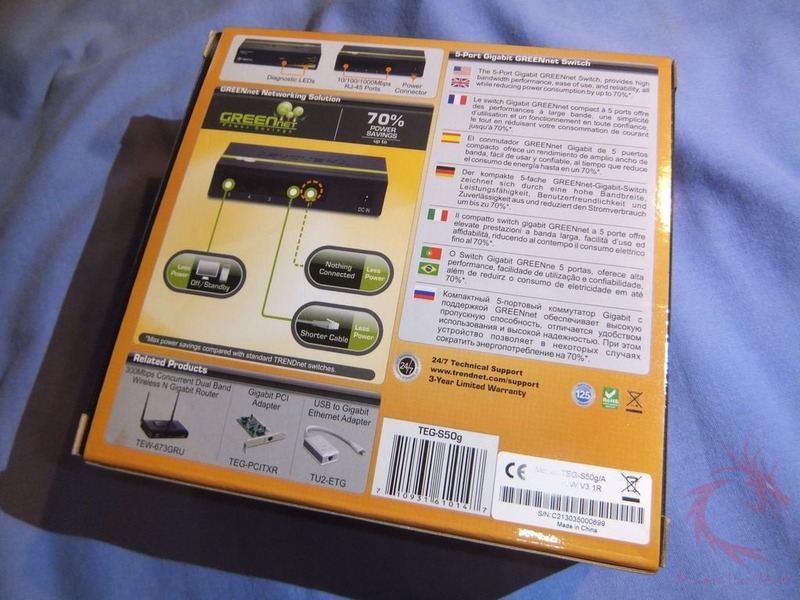 On the back you’ll find five Ethernet ports and the power connection for the adapter. There is no dedicated line-in, just pick one and go with it. For installation you just need to plug it in to a power outlet and then plug your Ethernet cables into it, setup is very simple. The switch has LEDs on it to indicate power and speeds and activity. If the LED is green for speeds then you’re running at full Gigabit speeds or at least that kind of connection is in use, if it’s yellow then the devices and connections are running at slower speeds. Here’s the TEG-S50G in it’s final position in my home, I’m using it for my PS3, Xbox 360, Blu-Ray Player and another line is going to yet another switch for my kids computers and their Xbox 360 and then of course one of the ports is used for the main line input. 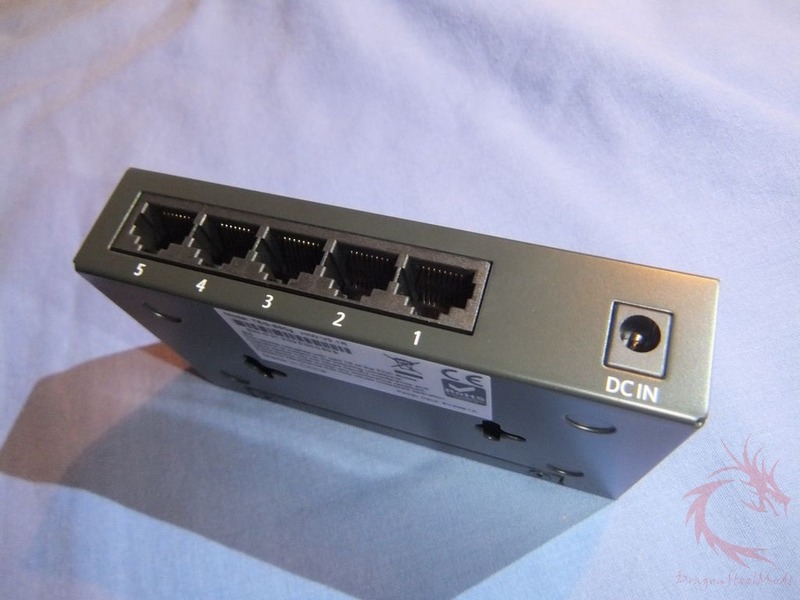 All the ports on the switch are connected in the below picture but only one of the devices is actually powered on and the other is the line connection. 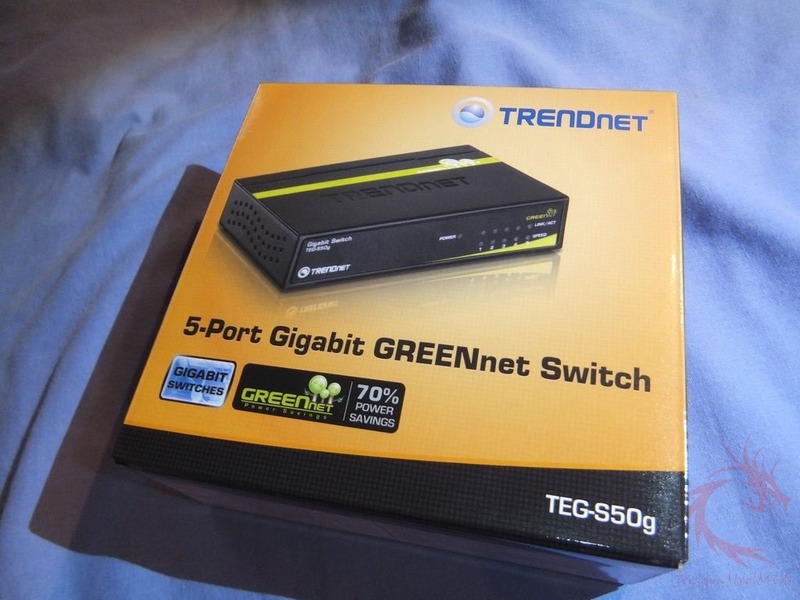 For comparison I’m putting the TRENDnet up against my D-Link DGS-2208 8-Port 10/100/1000 Desktop Switch which is a also a ‘green’ switch. Both switches are Gigabit switches but if you know anything about networking then you know that you’ll never reach those speeds, those are the maximum possible speeds under the best of circumstances, theoretical really as I don’t think I’ve ever seen anyone actually reach those speeds on a consumer setup. I connected two computers together via Ethernet cables over each switch and used the SiSoft Sandra Network or LAN test. Benchmark the network bandwidth of your computer. Shows how your networks/LANs and hosts/devices on it compare to other networks, hosts or devices. The test uses the ICMP (ping/echo) interface to measure the response time and transfer bandwidth to a host. 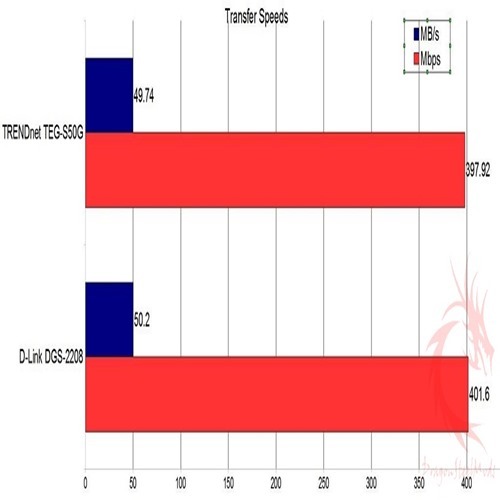 The test gives results in MB/s so it needed conversion to Mbps and I’ve included both in the chart below for you. So as far as speeds, the difference between 401 and 397 is negligible I would think, I don’t think you would ever notice the difference while using either of these. 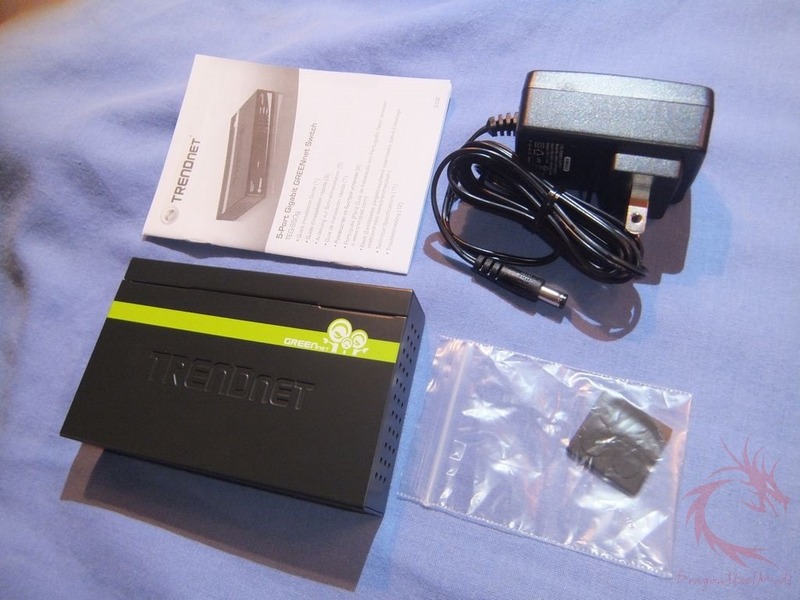 The TRENDnet uses a maximum of three watts of power while in use, that’s with all the ports active. 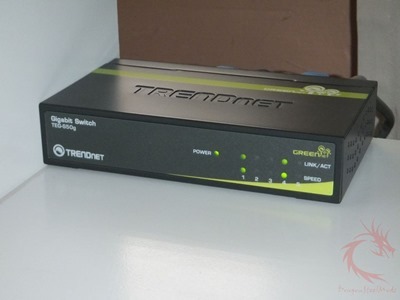 The switch takes several things into account when deciding how much power to use, length of cable, port in use, device is off or device is in power saving mode. So to get the full green abilities of the switch you’ll need to plan accordingly and adjust things for several factors. Still though, three watts isn’t much at all. The TEG-S50G is an unmanaged switch so there are no settings for the user to access, this can be a good thing and a bad thing. If you want more control over your network then this isn’t the switch for you, but if you want truly plug-and-play ability then this is it. 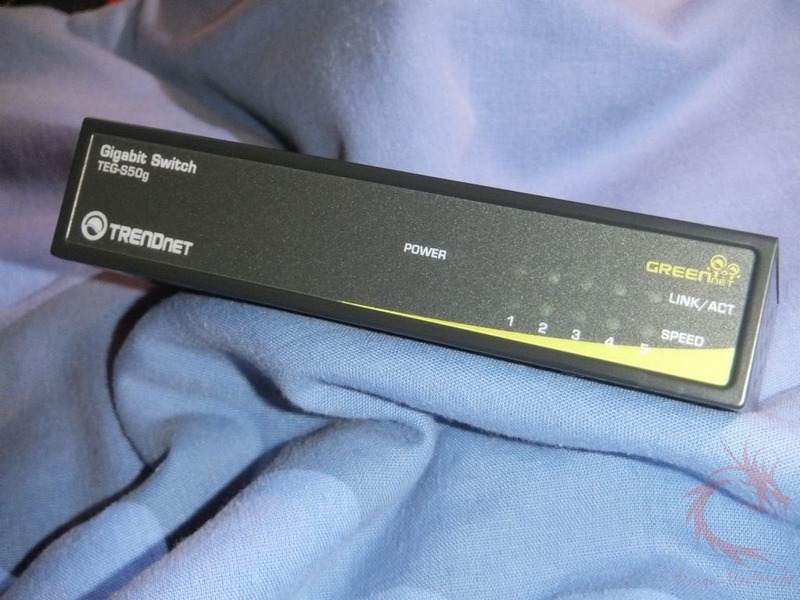 The TRENDnet TEG-S50G five port switch is inexpensive for sure, coming in at under $30, but yet it’s very well made, one of the features I love about it is the fact that it’s all metal making it durable and I think metal helps to keep things cooler which is good. The TEG-S50G is unmanaged so it’s truly a plug-and-play type device, just plug it in and you’re ready to go. Being unmanaged though means that the end user has no control over any of what’s going on inside the switch pertaining to your network. It all depends what type you need, personally I like the fact that it’s just plug-and-play, set it and forget really, and it works. As far as speeds it comes very close to a D-link branded Green switch, so close in fact I’d think you’d ever notice the speed differences between the two in the real world. The TEG-S50G is a Green switch so it consumes less power, but how much less does depend on several factors so your mileage may vary as to what type of power consumption you will have. Overall the TEG-S50G is a great little switch I think, it’s works for my uses and I think for other people it would be fine. This type of switch is great for those not exactly knowledgeable or technically inclined or for those who just want something that just works when you plug it and with no need to adjust any settings. DragonSteelMods gives the TRENDnet TEG-S50G a 4.5 out of 5 score. Disclosure: This product was given to DragonSteelMods for review by the company for review purposes only, and is not considered by us as payment for the review; we do not, never have, and never will, accept payment from companies to review their products. To learn more about our review policy, testing methods and ratings please see this page. Take 5 devices and a 5 port switch. Plug all devices into switch. All 5 devices can talk to each other. Just because one of the devices might be your router or another switch doesn’t mean the port it’s plugged into isn’t a port or isn’t in use.